The state of Florida offers a variety of modern cities, as well as traditional and coastal towns. With a variety of cuisine influenced by local and international inhabitants, here are 10 destinations across the state that every foodie should visit. 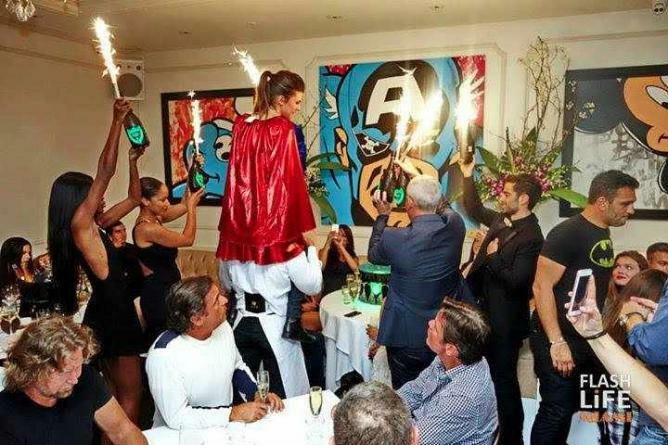 Dressed in kitschy, nouveau-pop-art-meets-classical French attire, Bagatelle offers an enjoyable environment for both indoor and outdoor dining. It’s the perfect combination of delectable cuisine and alcoholic beverages, with a touch of the glamour and nightlife Miami Beach affords. Procured from the hands of Executive Chef Matthieu Godard, a meal at Bagatelle will be one you will never forget. From the dinner menu say yes to the gnocchi truffles a la Parisienne, with black truffle sauce and aged Parmesan cheese, or the snapper de Floride in papillote, which features a red snapper filet in avocado mousse. Order a glass or two from the extensive rose and champagne menu, and don’t skip dessert. City Cellar Wine Bar & Grill offers Mediterranean fare in an airy warehouse space, with floor-to-ceiling glass wine cellars attached to a patio that is perfect for people gazing and watching the dancing fountains of City Place. City Cellar Wine Bar offers a varied menu with an enormous selection of artisanal cheeses, focaccia flatbreads and meats, such as jamon serrano and jamon iberico, alongside an award-winning wine collection to be purchased by glass, flight or bottle. With entrées such as a hearth-baked pizza, dry-aged steaks, fresh pasta and seafood, it’s impossible for anyone to leave unsatisfied. Try the lobster mac and cheese and the roasted Brussels sprouts. 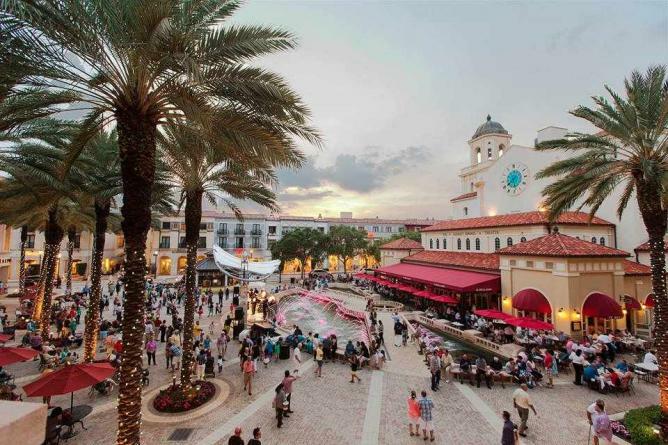 After the meal, enjoy the shopping and sites of City Place. St. Augustine’s locals and visitors describe The Floridian as a restaurant serving regional, authentic cuisine for lunch and dinner. The Floridian uses fresh-from-the-source ingredients -a mixture of Southern comfort entrees and lighter, healthier dishes. The restaurant also offers a plethora of vegetarian options. The venue prides itself on the use of local and sustainably produced meats, seafood, vegetables, artisan breads and cheeses. The restaurant does not take reservations, except around the holidays. Say yes to the pickled pepper shrimps, fried green tomato bruschetta, and shrimp and sausage pilau. 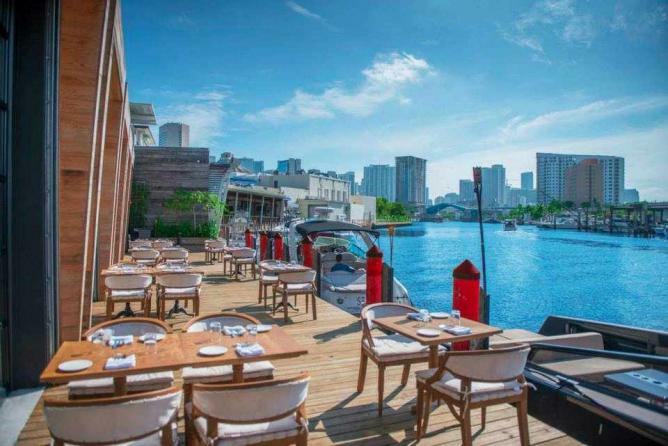 Located in a post-industrial warehouse on the banks of the Miami River, Seaspice offers the essence of a waterfront experience with a nautical outdoor lounge and spacious indoor dining room. Both dining areas have stunning views of the downtown Miami skyline, as well as fishing boats dropping off their daily catch and yachts that anchor up for a midday meal. From the menu, say yes to the octopus la plancha or the tuna and salmon tartare, and for dessert, try the tres leches. Accompany the meal with a glass of French rosé. Beyond the Tampa area, The Columbian restaurant has been given the title of an All-American icon. With roots dating back to 1905, the restaurant was founded by Casimiro Hernandez and is currently run by the fourth and fifth generation of his family. 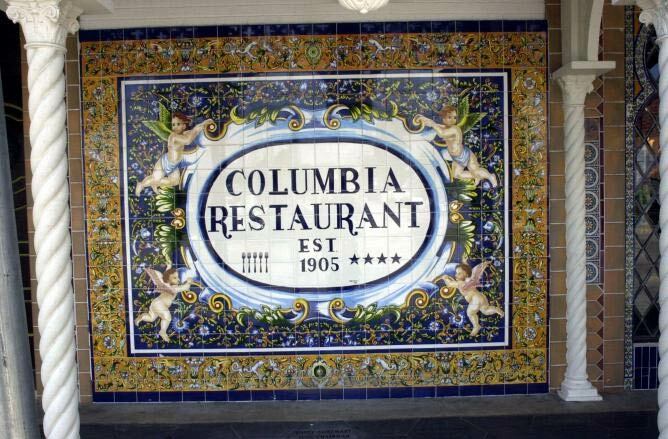 The Columbian is Florida’s oldest restaurant and the world’s largest Spanish restaurant. 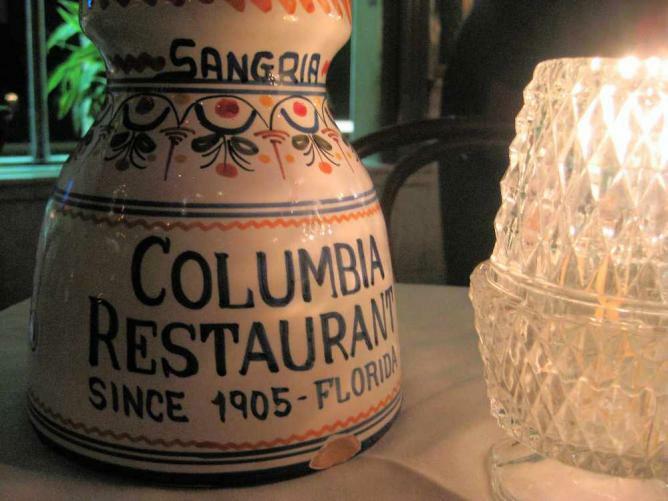 Century-old Spanish recipes like Valencia paella, Alicante snapper and filet mignon, accompanied by a nightly flamenco dance performance, make this a favored restaurant among visitors to the area. Guests can purchase hand-rolled Cuban cigars, coffee and sangria mix in The Colombian’s gift store. The Conch Republic Seafood Company sits on an historical dock in The Key West district, once the epicenter of sponge commerce – the restaurant alludes to its sponging history by keeping some of the processing plant parts as its decor. Inside, the restaurant features saltwater aquariums filled with native Florida invertebrates, which can be found just offshore. The menu serves fresh produce in signature dishes of conch fritters and fried calamari, which patrons can recreate at home as they publish some of their recipes on the website. Must-try menu items are the tempura-battered cracked conch, the stuffed shrimp and the lobster tail. Versailles opened its doors to a growing Cuban community in 1971, where it quickly became one of Miami’s premier Latin restaurants and continues to be a must-visit while in Miami. 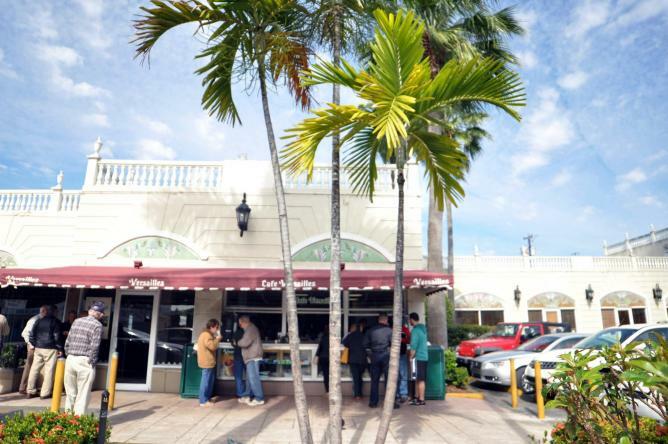 Located in the heart of Little Havana on Calle Ocho, Versailles is said to be the first stop for politicians attempting to parlay a message to Miami’s Cuban population, as well as a place for the Cuban community to convene. 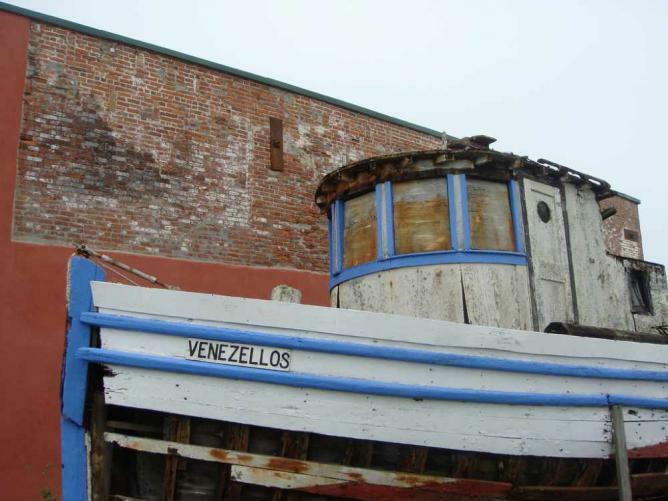 Filled with visitors, Versailles is an iconic establishment still buried in its Cuban roots. The menu consists of vaca fritta, chicken fricasse, cuban sandwiches and cortadito coffees. Ninety percent of Florida’s oysters come from Apalachicola, also known as ‘Oystertown’, a small panhandle town with a population just under 3,000 people. 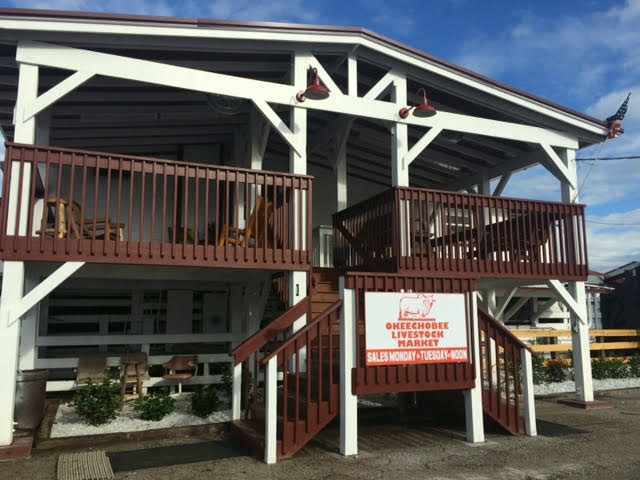 Up the Creek Raw Bar is a casual restaurant located on Scipio Creek Channel. Oysters are not the only menu item, however. Up the Creek Raw Bar features everything from vegetarian entrees to upscale cuisine. From the menu, say yes to the raw oysters, the mignonette oysters, the oysters Rockerfella or the fried grouper. After your meal, visit the John Gorrie Museum State Park and the bustling local art scene. 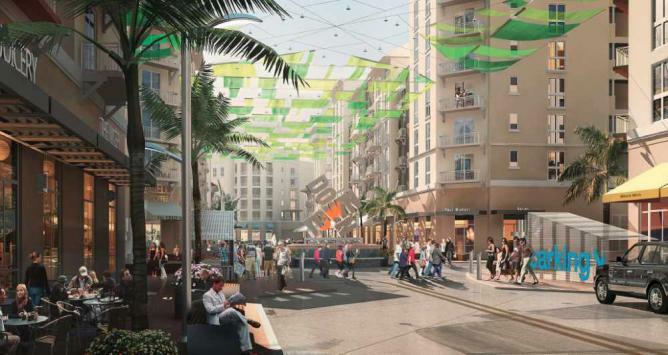 Downtown Dadeland | Courtesy of ADD Inc. The diner located inside of the Okeechobee Livestock Market, one of Florida’s oldest cattle auction businesses, is rumored to have one of the best hamburgers in the state. The experience doesn’t stop at just the hamburger either, guests are able to sit and watch a live cattle auction on Mondays and Tuesdays. Call it a ‘start to finish’ food production experience. Get there at around 2pm after the cowboy lunch rush, and watch the auction while you eat. 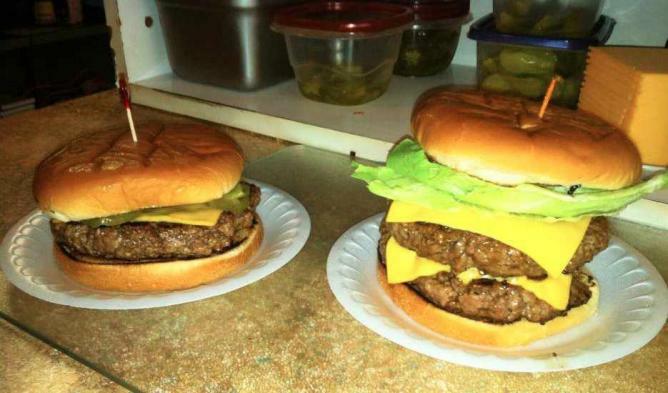 From the menu, order the cheeseburger or bacon cheeseburger with a side order of fried okra. Barley & Swine Restaurant is located in Downtown Dadeland, a town adjacent to the expansive Dadeland Mall east of downtown Miami. This innovative complex encompasses over 127,635 square feet of retail space and is home to world class dining, all which is accessible by pedestrian friendly walkways and courtyards. From this restaurant, whose tagline is ‘Praise the Lard’, some swine centric menu must-haves are the Sriracha pig ear chicharon, the crispy chimichuri pigtails, and pork belly.